Hop inside a minivan and explore the city of Florence and its surrounding hills. 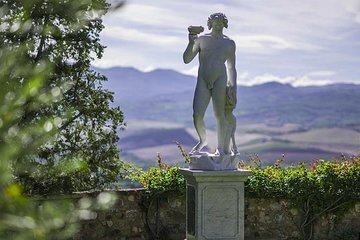 Visit a number of attractions in the city such as San Miniato a Monte, the house where Galileo passed away, the town of Fiesole, and Piazzale Michelangelo for panoramic views of Florence. Listen to informative commentary from your guide about the history of the Tuscan city and some of its past famous inhabitants.